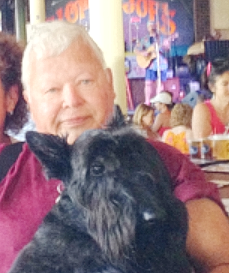 Fermo, the Scottie, and I are down in southern Florida working on lifestyle changes…weight reduction, exercising and more water intake rather than alcohol…ok, ok…Fermo may be a Scottie but he doesn’t touch scotch…thank goodness. In any case, each day we start off by drinking water and then doing a 45 min walk before breakfast. Breakfast is a fried egg with a slice of toast and a lot of peanut butter. The change is slow but then it took decades to get here…hope it doesn’t take decades to get to a new place. PROGRESS LOG: Mar 8-10, Days 46-48 A million Latinos !